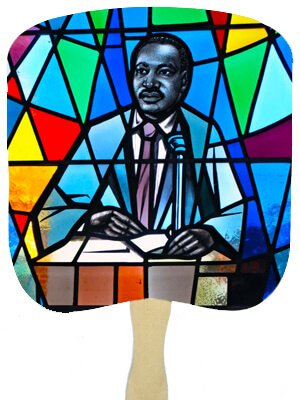 This religious hand fan includes the stock design shown above. Cost includes 1 color print on the back. Custom text on front will cost extra. Great job and excellent customer service.